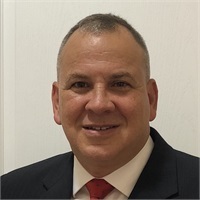 Paul McAneny is a 27 year veteran of the United States Air Force where he held multiple leadership positions in logistics, aircraft maintenance, post-graduate instruction, and Combatant Command Headquarters staffs. He served multiple deployments to Southwest Asia Combat Zones as well as in Europe, the Pacific, and throughout the United States. Following military retirement, Paul was a senior manager for over three years with Walmart in the nation’s largest supply chain network. Paul answered the call to serve again by becoming a financial representative; now dedicated to helping active duty military, veterans, and families achieve personal, professional, and financial success. He draws on a vast business and social network as well as extensive experience in both the public and private sector to specialize in assisting military members faced with daunting career transitions. Paul takes great pride in his ability to provide job search process advice and industry connections in addition to a range of options for income protection and detailed analysis/comparison of available military retirement benefits. Paul and his wife, Rebecca, currently live in Lithia, Florida with their daughters Campbell (a local college student) and Erin (a Newsome High School sophomore). Their third daughter, Madeleine, is a freshman at the University of Alabama. Paul is active in the Newsome High School Booster Club, local political organizations, and several veterans’ support groups.